Whenever I make a Starbucks run, I tend to ponder on getting a scone with my coffee. 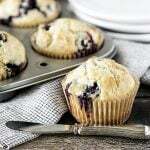 Whether it’s a blueberry scone, pumpkin scone, or cinnamon scone — I’ll take one. 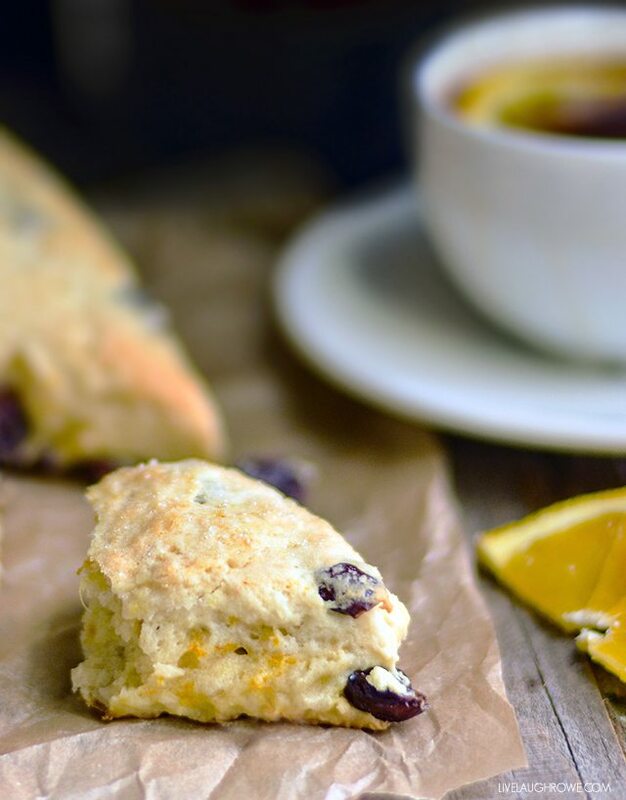 These Orange Cranberry Scones show off the perfect pairing of orange and cranberry flavors. 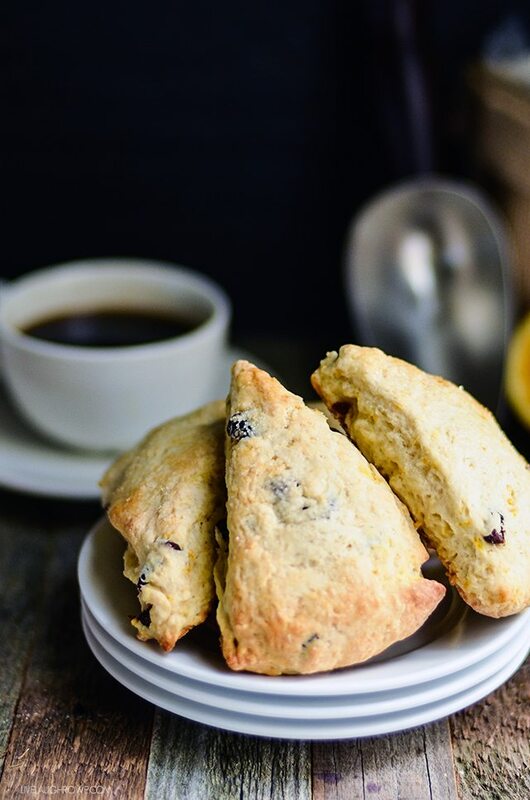 I don’t recall growing up on scones, but I’m sure glad that I was introduced to them at some point. Visiting tea houses and enjoying scones with clotted cream is perfection. I remember visiting a tea house in New Jersey with my mom and drooling over the scones and clotted cream. At the time, I didn’t even know what clotted cream was — I just wanted to eat it by the spoonful (hee-hee). It’s funny how experiences can become fond memories and teachable moments, even in your early 40’s. 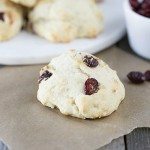 If you’re also a scone lover, then I’m sure you’ll enjoy these. Preheat oven to 400 F. Grease a cookie sheet and keep aside. 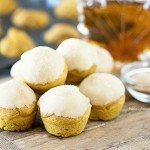 In a bowl, whisk together the dry ingredients - All purpose flour, 4 tbsp sugar, baking powder, baking soda and salt. 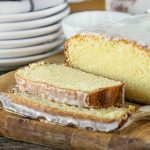 Add the cold butter by cutting it into the mixture until it becomes crumbly. Add the buttermilk and mix until just combined. Now fold in the dried cranberries and orange zest. Take the dough out onto the floured surface and work it till it comes together. Pat into an 8 inch circle. Cut the the circle in 8 equal sized wedges. I used a sharp knife - a pizza cutter will work as well. Lay out the wedges on the greased cookie sheet and brush them lightly with milk and sprinkle the 1 tablespoon sugar. Sprinkle little more if you wish. Bake at 400 F for 16-18 minutes until they turn golden brown. 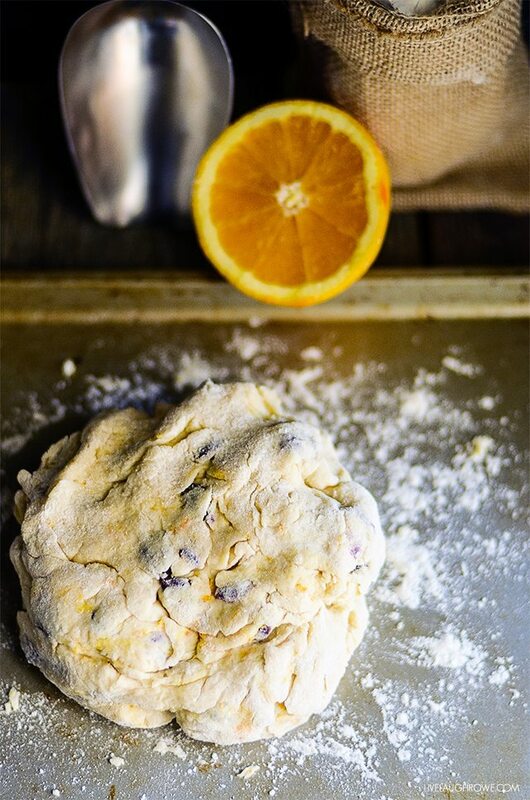 Cool the Orange and Cranberry Scones on a cooling rack before serving. So, who’s up for some afternoon tea? I’d love to have you join me. While it may not be possible, it’s sure fun to daydream, right? 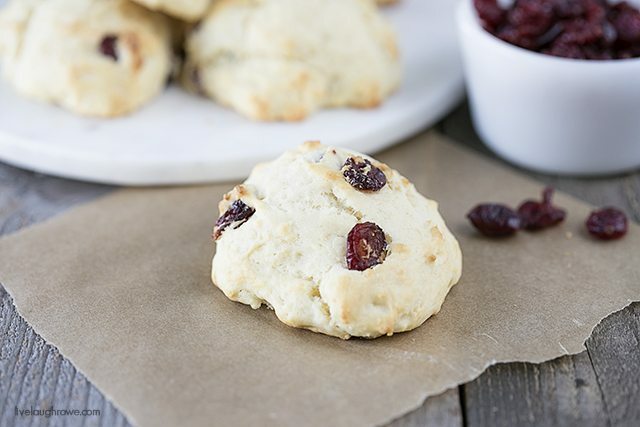 Don’t forget about my Weight Watchers friendly Cranberry Scones too…. 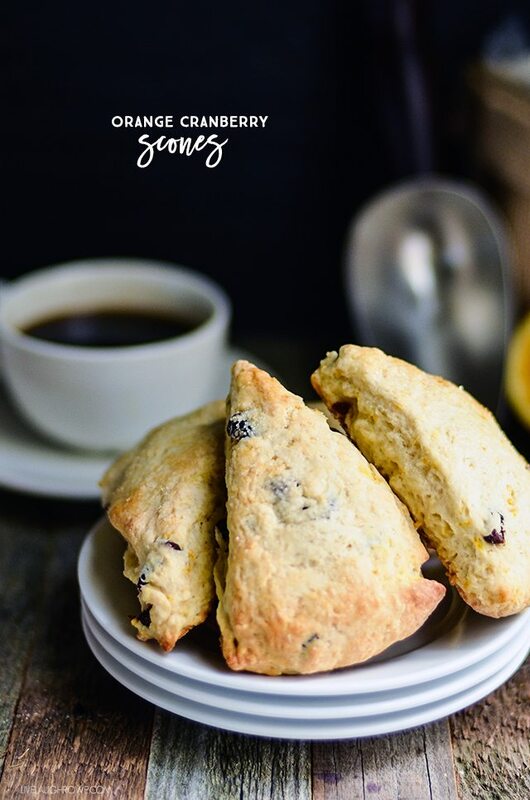 Here’s to scones, tea, coffee and friends! Hugs all around. « Holy Hot and Humid | Party Time! Omgosh, this is the smartest thing ever, i never try this type of recipe.